We have a huge range of sport and extra curricular activities on offer at Princess Frederica. Some of our clubs operate at lunchtime, some after school. Many are run by our dedicated and talented staff who offer their time in goodwill. Each year group from 2 to 6 enjoy exciting and rewarding residential visits. They begin in Year 2 where children 'sleep over' in the school hall. By Year 6 children visit France and work alongside children in a French school. At Princess Frederica Primary School there are many ways that children can demonstrate and develop their musical skills and talents. We are lucky enough, not only to have our own specialist music teacher within the school, but also to have a number of peripatetic teachers who come into school to teach individual and small group music lessons. If you would like your child to learn a musical instrument please fill out the form below. We are lucky enough to have a specialist music teacher working full time at Princess Frederica Primary School. Alongside the rich and varied music curriculum delivered by our music teacher, there are additional opportunities for pupils, in the form of clubs and individual music tuition. One of our talented musicians receiving the Mayors Musician scholarship 2014. Tomorrow's Achievers is an educational trust which runs masterclasses for gifted children of Year 1 age upwards. These classes cover a variety of different topics and skills. If you are interested in having your child attend one of these masterclasses, why not have a look at the website. 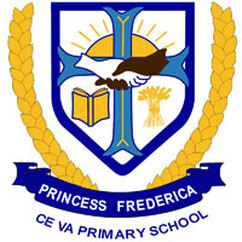 We are very proud of our provision for Physical Education at Princess Frederica Primary School. All children have access to high quality PE and fitness activities throughout the week.